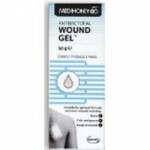 Medihoney Antibacterial Wound Gel is made with a special medical grade manuka honey that has been sterilized. The gel cleans, protects and heals thanks to the special characteristics of manuka honey. 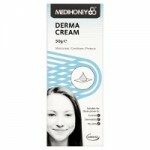 Medihoney Derma Cream is for people with eczema, dermatitis and dry skin. It is made with Comvita's medical grade manuka honey that the company sources from its own hives and is used medical and skin care products throughout the world. Medihoney Gentle Body Wash is made with medical grade manuka honey and is designed for people with sensitive skin. It is a soap free way of cleansing and refreshing the skin.